In the Bible, in Christendom, and in Judaism names are very special and are often linked to prophecy and future giftings and callings. 18 And the Lord God said, "It is not good that man should be alone; I will make him a helper comparable to him." 19 Out of the ground the Lord God formed every beast of the field and every bird of the air, and brought them to Adam to see what he would call them. And whatever Adam called each living creature, that was its name. 20 So Adam gave names to all cattle, to the birds of the air, and to every beast of the field. But for Adam there was not found a helper comparable to him. 3 Then Abram fell on his face, and God talked with him, saying: 4 "As for Me, behold, My covenant is with you, and you shall be a father of many nations. 5 No longer shall your name be called Abram, but your name shall be Abraham; for I have made you a father of many nations. 6 I will make you exceedingly fruitful; and I will make nations of you, and kings shall come from you. 7 And I will establish My covenant between Me and you and your descendants after you in their generations, for an everlasting covenant, to be God to you and your descendants after you. In the Bible, many times people were named by God, before they were born. This subtly reveals that God knows the future. We have to understand the Hebrew Scriptures, the Old Testament, in order to understand the New Testament. The New is in the Old concealed, the Old is in the New revealed. 14 And let the peace of God rule in your hearts, to the which also ye are called in one body; and be ye thankful 15 And let the peace of God rule in your hearts, to the which also ye are called in one body; and be ye thankful. 16 Let the word of Christ dwell in you richly in all wisdom; teaching and admonishing one another in psalms and hymns and spiritual songs, singing with grace in your hearts to the Lord. 17 And whatsoever ye doin word or deed, do all in the name of the Lord Jesus, giving thanks to God and the Father by him. 21 And she shall bring forth a son, and thou shalt call his name JESUS: for he shall save his people from their sins. 22 Now all this was done, that it might be fulfilled which was spoken of the Lord by the prophet, saying, 23 Behold, a virgin shall be with child, and shall bring forth a son, and they shall call his name Emmanuel, which being interpreted is, God with us. 38 Then Peter said to them, "Repent, and let every one of you be baptized in the name of Jesus Christ for the remission of sins; and you shall receive the gift of the Holy Spirit. 39 For the promise is to you and to your children, and to all who are afar off, as many as the Lord our God will call." 6 Then Peter said, "Silver and gold I do not have, but what I do have I give you: In the name of Jesus Christ of Nazareth, rise up and walk." 7 And he took him by the right hand and lifted him up, and immediately his feet and ankle bones received strength. And when they had set them in the midst, they asked, "By what power or by what name have you done this?" 8 Then Peter, filled with the Holy Spirit, said to them, "Rulers of the people and elders of Israel: 9 If we this day are judged for a good deed done to a helpless man, by what means he has been made well, 10 let it be known to you all, and to all the people of Israel, that by the name of Jesus Christ of Nazareth, whom you crucified, whom God raised from the dead, by Him this man stands here before you whole. 17 But so that it spreads no further among the people, let us severely threaten them, that from now on they speak to no man in this name." God is often referred to as HaShem, or 'the Name' by Jews. They don't say the name of God, so they don't mistakenly mispronounce the name of God. 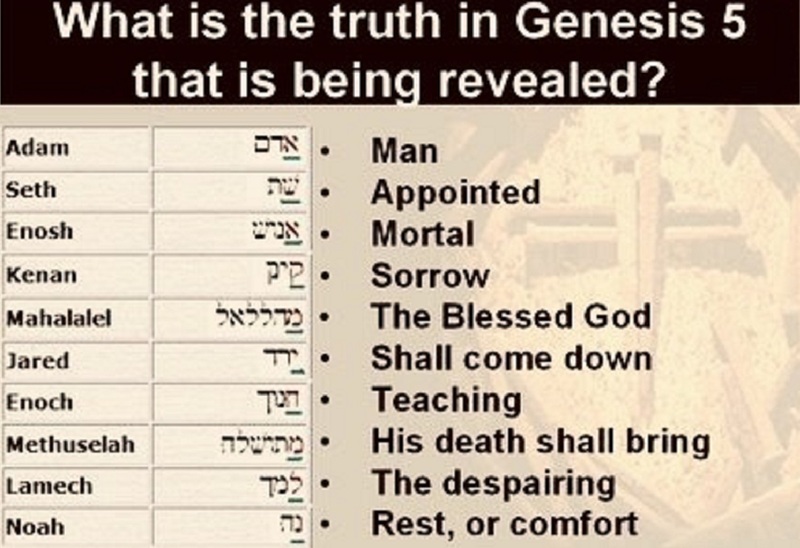 God's biblical name is Yahweh or YHVH; or the Tetragrammaton. This was mistakenly mistranslated as Jehovah. Whenever the Jewish leaders who were rejecting Jesus got upset, there was a reason! Go back and search the Scriptures to find it and you'll discover some hidden treasures.